This entry was posted in Hunger & Poverty, News & Views, Quotes and tagged cake, execution, French Revolution, garage sale, greed, Marie Antoinette, privilege, similarities, Trump, uncaring, wealth on January 13, 2019 by Ray Buchanan. 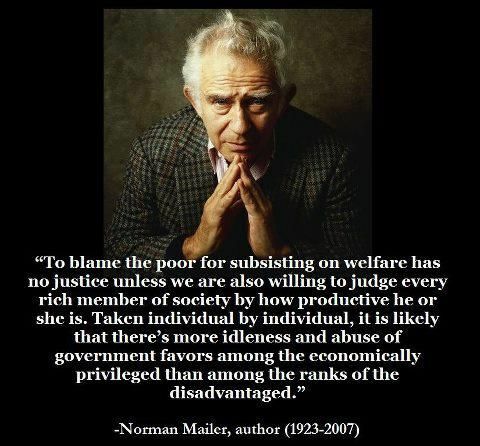 This entry was posted in Hunger & Poverty, News & Views, Quotes and tagged abuse, blame, disadvantaged, economics, government, idleness, justice, Norman Mailer, poo, privilege, productivity, quotes, rich, welfare on July 5, 2016 by Ray Buchanan. 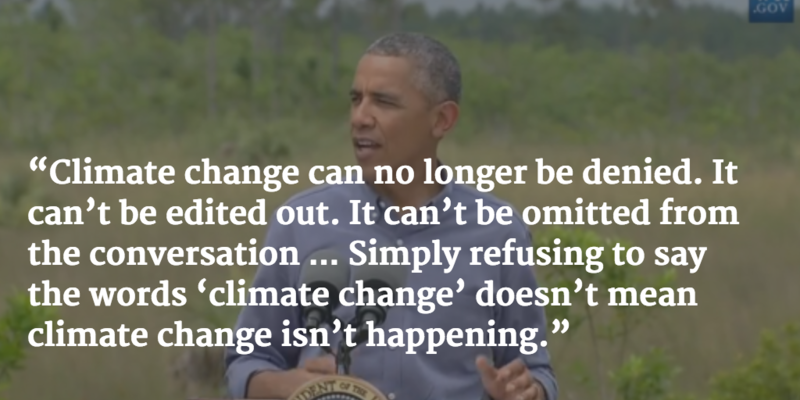 Much has been made of President Obama’s recent statements delivered in Florida. I am in the camp that believes the statements should have come much sooner, been far more forceful, and followed with stronger action. It’s past time to acknowledge reality, accept the scientific data, and come to the realization that we are destroying this beautiful planet we call home. Ignoring the truth before our eyes cannot be excused, especially by those in leadership. 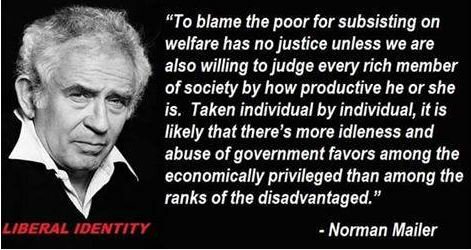 Many of our political leaders live inside a bubble of wealth and privilege, completely out of touch with reality. They are too blinded by greed and partisan politics to acknowledge the truth of climate change. Shame on them. And shame on those who vote to keep them in office. We need to openly address climate change and be honest enough to call a spade a spade. The words “global warming” are not obscene. The real obscenity ignoring them and not acknowledging reality. I applaud the President’s statements. Now, let’s see something more than just words. This entry was posted in Facts & Statistics, Hunger & Poverty, News & Views, Quotes and tagged climate change, denial, global warming, greed, leadership, obscene, partisan politics, planet, political leaders, President Obama, privilege, reality, shame, vote, wealth on April 27, 2015 by Ray Buchanan.